Have you ever struggled to believe a prophetic word that someone gave you? Do you generally feel a bit of skepticism–or even a lot of skepticism–about what the prophets in the Body of Christ are saying? If so, this is for you! Today’s post is the first in a series of nine posts about areas of your life that need proper alignment in order for you to move forward with God. The series is called “9 Keys to Divine Advancement,” and I will discuss the 9 keys in no particular order. The first key to divine advancement is the prophetic word. So they rose early in the morning and went out into the Wilderness of Tekoa; and as they went out, Jehoshaphat stood and said, ‘Hear me, O Judah and you inhabitants of Jerusalem: Believe in the Lord your God, and you shall be established; believe His prophets, and you shall prosper'” (2 Chronicles 20:20). Believe His prophets, and you shall prosper. This is pretty simple, but you might be surprised at how people resist it sometimes. Personally, I function in prophetic ministry. I’m called to it, and I love everything prophetic. So I often assume that everybody else does too! After all, who wouldn’t love to hear from God????? But some people don’t want to hear from God. You may be one of them–or you may know someone who is. Usually, people that don’t want to hear from God don’t admit it outright. They simply say that they don’t believe the person speaking is hearing from the Lord. To the law and to the testimony! If they do not speak according to this word, it is because there is no light in them” (Isaiah 8:20). There is no truth outside of Scripture, so if someone’s word doesn’t match what God’s Word says, then throw the “prophetic” word out. It’s not from the Lord; the Lord never, never, never speaks contrary to His Word. 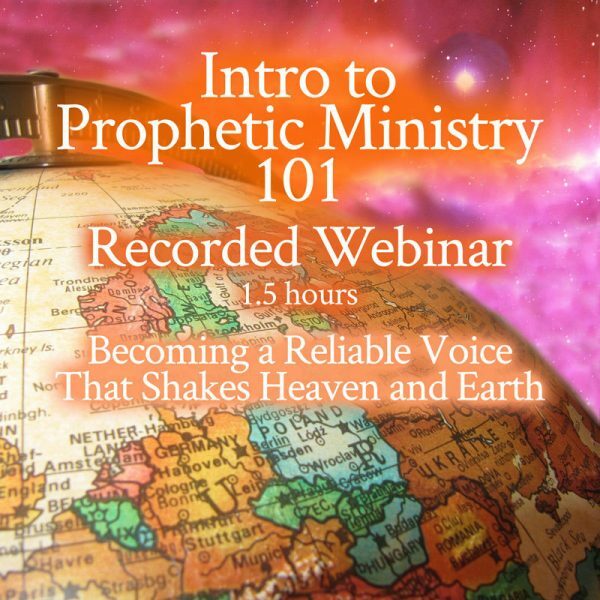 Related: Find out more about how to discern true prophets from false prophets by listening to my downloadable, recorded video teaching, Intro to Prophetic Ministry 101. Click the image to check it out on my Gumroad store! In addition, Jesus said that you’ll know true prophets versus false prophets by their fruit. Do men gather grapes from thornbushes or figs from thistles? Even so, every good tree bears good fruit, but a bad tree bears bad fruit. A good tree cannot bear bad fruit, nor can a bad tree bear good fruit. Every tree that does not bear good fruit is cut down and thrown into the fire. Therefore by their fruits you will know them” (Matthew 7:15-20). … then you should know them by their fruit. It’s the fruit that exposes who they really are, not the fact that they claim to be prophetic. If they’re bearing bad fruit, then reject the word from them. They are not true prophets. But there are many people who reject the prophetic word when it’s actually from reliable, proven, good-fruit-bearing, godly prophets. And THAT is the crux of the issue I want to discuss with you today … because you will not prosper unless you believe the Lord’s prophets. Yes, you should be discerning. You should evaluate every word and judge it based on Scripture. But, having done that, it is essential that you believe the words of the prophets. I can’t tell you how often I’ve seen people totally reject prophetic words. I’m not talking about weird, fruit-flake-nut kind of words, either. I’m talking about prophetic words that were given appropriately; that were upbuilding in nature; that were Biblical; and that could have changed their lives. Pride. Pride tells you that you have all the answers–or, at the very least, that you don’t need to listen to anyone else (even if you don’t think you have all the answers). A poverty mindset. Poverty will tell you that God will come through for everyone else, but He will not come through for you–therefore it keeps you in doubt and unbelief. Doubt and unbelief. You don’t have to think poor in order to operate in doubt and unbelief. Some people just don’t believe God. A rebellious spirit (often a Jezebel spirit). When people operate in rebellion, they won’t submit to anything even if it’s good. But if you’re going to prosper, God’s Word says you need to believe the prophets. God sends words of hope to the earth through His prophets. He sends words about what He is doing on the earth and in individual lives. He sends words about what He is doing, at large, across the entire Body of Christ from one season to another. Pray that word in for your own life. Remember that God does not move on the earth except in response to prayer. Watch the opportunities God puts before you, so you don’t miss out. 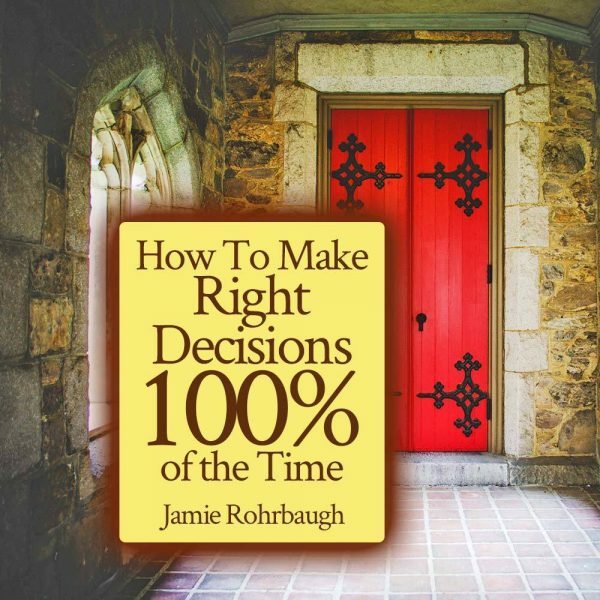 If you want to be 100% sure of your decisions 100% of the time, grab my video teaching on the 10 gates of Spirit-led, Biblical decision-making. Passing your decisions through the 10 gates will transform your decision-making process and give you confidence! You have been missing out. You have been missing out on encouragement, wisdom, knowledge, affirmation, guidance, direction, and even secrets from the Lord. Surely the Lord God does nothing, unless He reveals His secret to His servants the prophets” (Amos 3:7). God tells His prophets everything that He does before He does it. That’s a huge gold mine of information for you and for me … if we just believe the prophets! So have you been operating in doubt and unbelief? If so, I can’t convict you, but I’m writing this article because the Lord told me to. Therefore, I believe that Holy Spirit wants to convict you so He can help you get this fixed in your life. Because He has blessing after blessing, encouragement after encouragement, secret after secret to share with you–and He wants to prosper you. But all of these things require you to believe the prophets. So if you find yourself in the minefield of doubt and unbelief, what do you do? Repent–change your mind and do a U-turn. Get off the road of doubt and criticism and turn the other way. Make things right with God for doubting, criticizing, maligning, etc His prophetic word. Ask Holy Spirit to change your heart–to take away your old heart of stone and to give you a soft heart of flesh. Determine to begin believing from now on. Belief is a choice; you can believe when you decide to–even if your flesh doesn’t want to. Begin praying into the Biblical prophetic words you see from godly, proven, good-fruit-bearing prophets. Pray the prophetic word into your own life! And if you will do these things, you will be able to move on with God a whole lot easier. Is Holy Spirit speaking to you about believing the words of the prophets? If so, please leave a comment below! I’d love to hear from you! Thank you Jamie for this great word. It surely speaks to me. I am looking forward to this series Sister. I humble myself and know I’ve missed the mark in believing to step outside of the poverty thinking. Trusting in persons can be difficult for me, I find that many times I am very careful to not allow someone to prophecy over me and my life I have even been given spiritual direction to forbid someone from doing do. There is a puzzle piece missing and I am today praying that Papa places that piece of the puzzle within this series. Thank you Sister for answering the call. The past couple of years have been both enlightening and extremely challenging. I was raised in church and very active but let circumstances take me off course for several years. That is until God got my attention in new ways. I had some serious sin in my life that I still struggled with for much of that time but finally let it go completely several months back. But God was still convicting my heart to confess it not only to Him. So I did and lost a whole lot because of the nature of it. There’s a chance of legal recourse also so I’d love to have your prayers. My defining trait has always been “I’ll fix it” and “I’ll do it myself”. Well, I finally realized I couldn’t. I took too many matters into my own hand for too long and made almost every mistake possible trying to be “the fixer”. I didn’t realize before how much I struggled with trust in God. I think that was my biggest mistake. As difficult as things seem right now, it’s actually freeing to know that’s all I really have, to trust Him. I couldn’t get my mind (maybe also my heart) really there before. Pride had a lot to do with also. I started a prayer journal in 2016 after hearing from God about someone else. For some reason I felt I should number the pages and do it in 90-day cycles. There’s been many signs pointing back to that journal that have been unfolding bit by bit. I’m now in the first week of cycle 8 (new beginnings, right?). I actually haven’t had a personal prophetic word from anyone since I’ve been praying and searching. I’ve asked for it, actually 🙂 to no avail yet. I read your blogs everyday and they have been right on point over and over. There’s no doubt God has used you in my life, and some other ministries as well. So, thanks again for making time to share what you hear and have learned! Thank you Jamie. What an Awesome Father! He sends words of hope to us through His prophets. Bless you ! Great word and thank you for your boldness to speak the truth. Love this series Jamie. I love the prophets and I love the prophetic and I am so drawn to you and what you teach. Looking forward to all you have to share! Wow! God is so spot on! We have received a Word from The Lord today through my Sis… Am glad you have written this today. God is Good. You are blessed. I want to both hear and receive the right word and be able to help people who will receive and not bother telling those who will not because that has been hard for me. I received a dream from God eight years ago about my future. It was confirmed up to 6 times throughout the years by various different prophets, but then didn’t come true. I feel like I can’t move forward now because I can’t understand why God would lead me down a path like that and then not follow through. One of my favorite quotes is from Lou Engle. He said: “Prophecy is an invitation to become pregnant until birth.” In other words, just because someone gives a personal prophecy doesn’t make it happen. Personal prophecy tells you what the heart of the Lord is. It tells us what He wants to do. But, in order for it to happen, we have to put our heads between our proverbial knees and contend for it through prayer, fasting, action, and more. Also, personal prophetic words don’t expire. It’s not too late. If you want that word to happen, become pregnant with it in your spirit and contend for it until it does. Sometimes God will tell you a thing many years before you actually see it … but those things are so valuable that they’re worth the effort to contend for. Thank you Jamie. This has helped me to what was holding me back and how I can move forward even more with Christ. Thank you Jaime for sharing this powerful word. The Lord has gifted me with prophetic encouragement and deep love and empathy for the broken hearted and wounded. My doubting is that God is actually using me, even though I have missed the mark more times then I care to remember, in my walk of faith, I am grateful that God uses the foolish things of the world to confound the wise!! That’s been me! 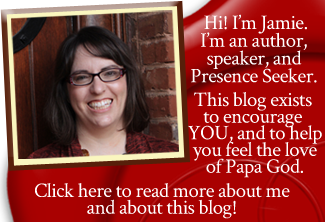 I am so grateful for your sharing! I have no trouble believing the prophets and the words of life they have spoken over me. I just need more courage to step out boldly and share freely what God has do graciously and freely given! Congratulations on your precious new arrival! Pray you all are doing well and adjusting to your new life! Blessings to your family! !